It’s not too early to be thinking about summer camp for the kids. We are fortunate to have one of the finest organized facilities in the State of Michigan here locally at Camp Copneconic. Located at 10407 N. Fenton Rd, between Thompson Road to the South and Baldwin Road to the North, Camp Copneconic is close by. 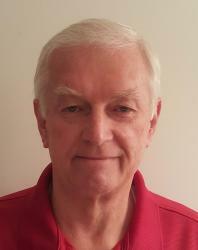 Convenient to anywhere in Genesee County and in the heart of the Lansing, Flint, and Detroit Metro area. The Camp has a rich history. With activities for kids, teens and even family groups the camp offers a wide variety of options for area residents. Here are a few kid-friendly day camps on tap for this summer. Pre-K and Kindergarten “Snoopers” It’s the perfect introduction to summer camp with activities such as canoeing, pony rides, frog hunting and so much more. “Explorers” for grades 1-2 feed the inquisitive minds of these youngsters. 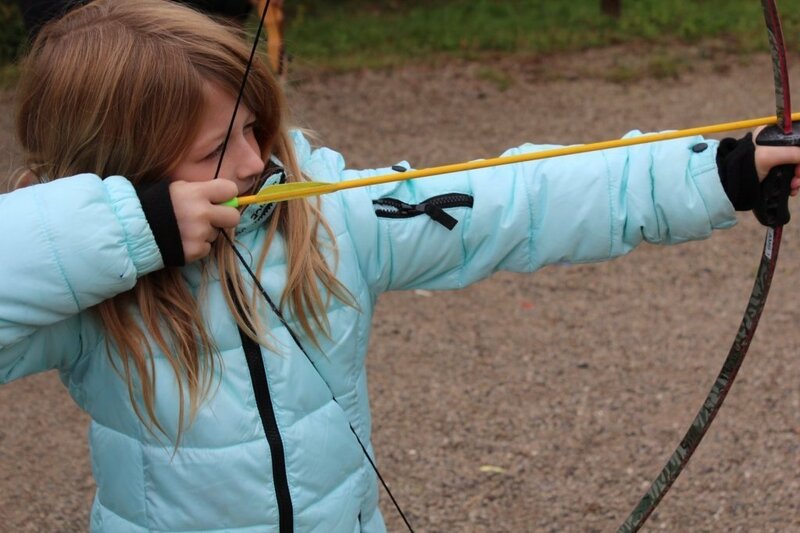 Explorers love the age-progressive activities like archery, fishing and the Aqua Jump water trampoline! “Fish, Frogs and Forts” give 1st through 3rd graders an opportunity to get hands-on with nature. Expect your kids to come home with a little dirt on their face. Who doesn’t love a day on the water? “Aguamania” gives 1st through 4th graders a day of playing on an aquatic playground of water toys, tubing, and a pontoon swim. “Nature Discovery” for grades 3-6 is another hands-on experience with reptiles, amphibians, bugs, birds, and plants. Adventurous hikes through forests, ponds, and streams will introduce campers to the Camp’s amazing animals and wild habitats. Got a boy or girl who loves to fish? 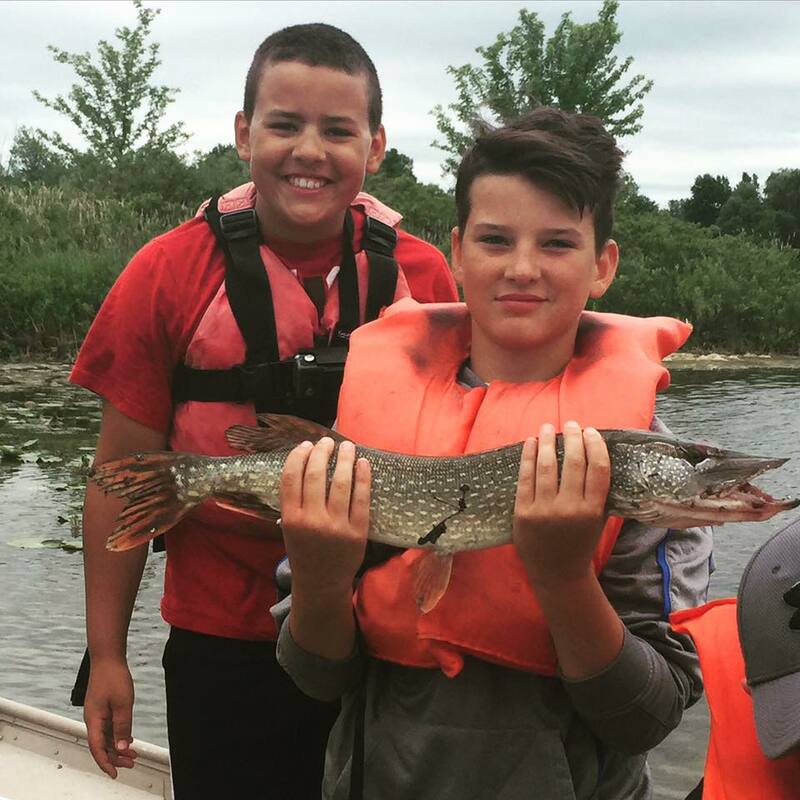 “Rods and Reels” provides young anglers in grades 4-7 the opportunity to learn fundamental fishing skills such as baiting, casting, habitat and setting the hook. Boats fully rigged with trolling motors and fish finders allow campers to learn advanced skills and try to catch the big one. Pre-teens will get excited about the “Adventure Challenge” for grades 5-8. 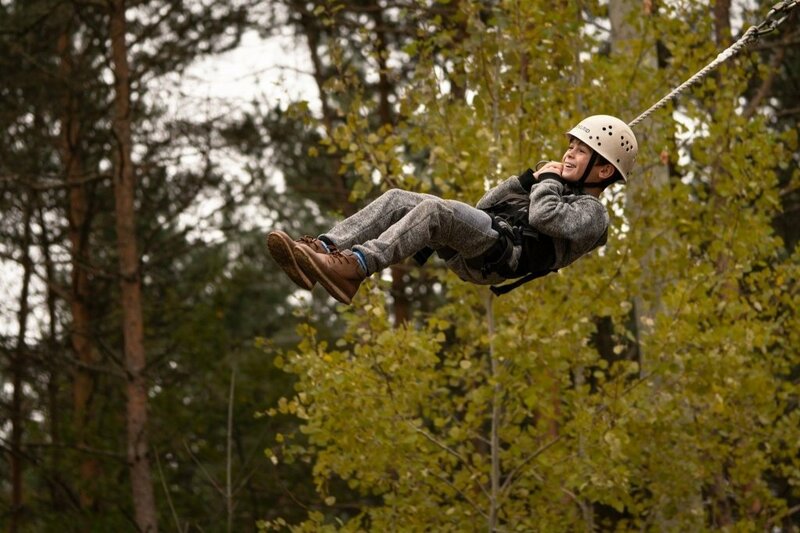 With a double-decker high ropes course, 55-foot climbing tower, Creek Freak zip line, mountain biking and giant swing. Campers also learn about teambuilding on the challenging low ropes course. 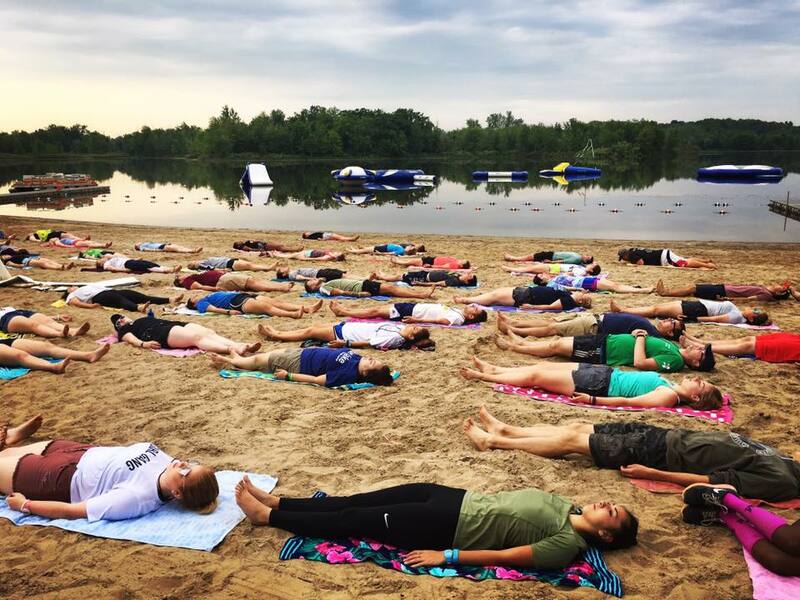 Week-long and two-week camps give teens an opportunity to immerse themselves into the complete camping experience. “Voyagers” for grads 9-11 can experience cabin activities, high adventure zip-lines, exploring and select 2 days of activities to suit their specific interests. “Crazy About Copneconic” is the full 2-week camp life program that give 6-11th graders the ultimate fun adventure. 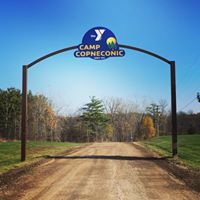 Everything Camp Copneconic has to offer. 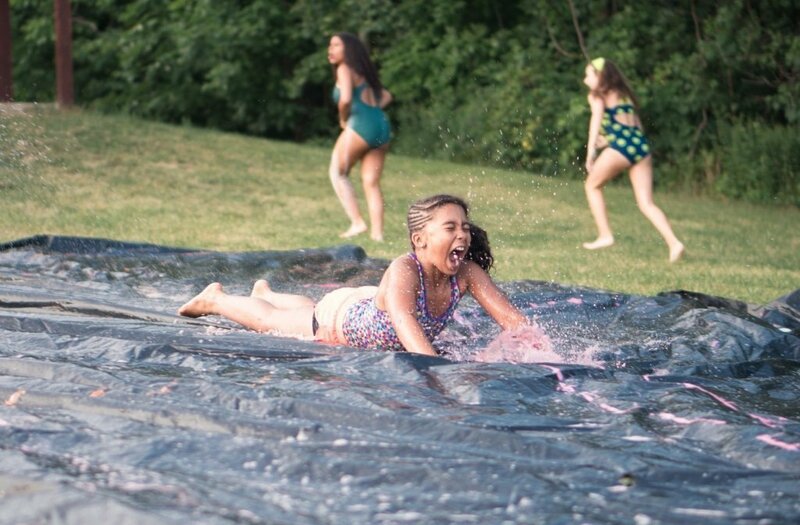 Girl Scouts, Boy Scouts, church groups, even family get-togethers will find Camp Copneconic the ideal setting for group activities. The 750 wooded acres surrounding Lake Copneconic plays host to business retreats and conferences, providing a great opportunity to meet in a space outside of their normal routine. 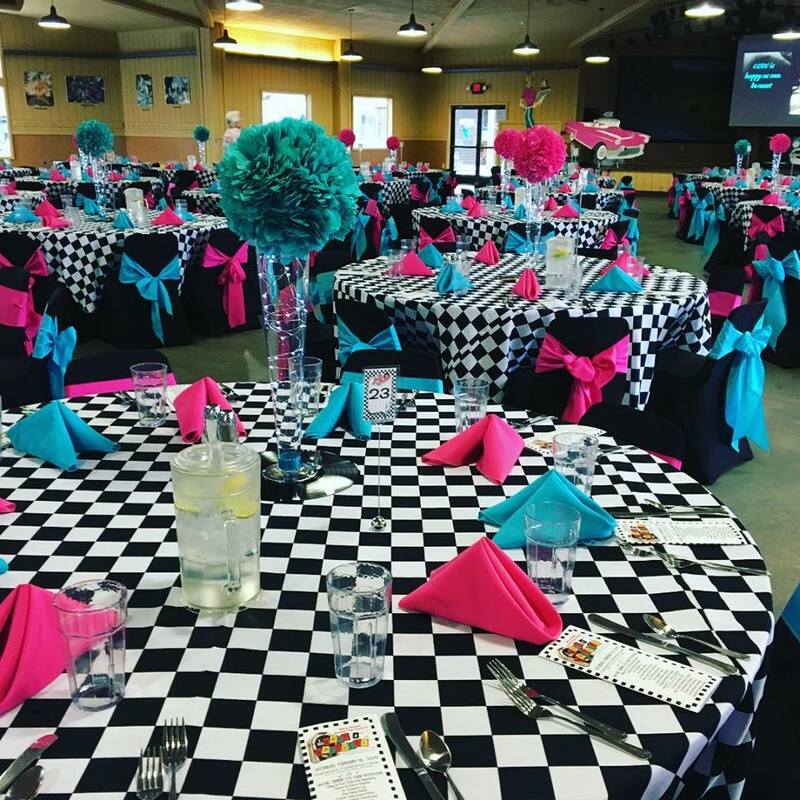 Conference groups and party planners will find the various facilities are ideal for many different types and sizes of group gatherings. With a variety of facility options, campers can enjoy small group discussions in one of our many intimate breakout spaces, or host large group get-togethers in our Copneconic Lodge. The lodge can accommodate up to 450 people for meals, and it doubles as an assembly hall with a stage and audiovisual system available for use. and on the internet at https://www.campcopneconic.org/, there is so much to see. Call them today at 810.629.9622 and find out how you can make this summer a truly memorable one.